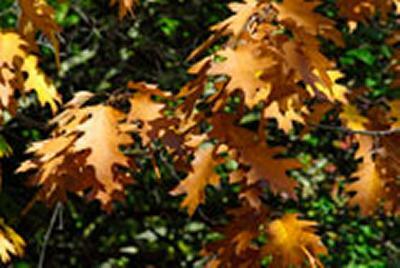 A study by the University of Southampton suggests that on average the end of Autumn is taking place later in the year and Spring is starting slightly earlier. A team of researchers examined satellite imagery covering the northern hemisphere over a 25 year period (1982 - 2006), and looked for any seasonal changes in vegetation by making a measure of its ‘greenness’. They examined in detail, at daily intervals, the growth cycle of the vegetation – identifying physical changes such as leaf cover, colour and growth. The project was led by University of Southampton Professor of Geography Peter Atkinson, who worked with his colleague Dr Jadunandan Dash and in collaboration with Professor Jeganathan Chockalingam from the Department of Remote Sensing at the Birla Institute of Technology in India. The team was able to examine the data for specific vegetation types: ‘mosaic’ vegetation (grassland, shrubland, forest and cropland); broad-leaved deciduous forest; needle-leaved evergreen forest; needle-leaved deciduous and evergreen forest; mixed broad-leaved and needle-leaved forest; and mixed-forest, shrubland and grassland. They analysed data across all the groups, recognising that forests which have not changed size due to human intervention, for example through forestry or farming, provide the most reliable information on vegetation response to changes in our climate. The most pronounced change found by the researchers was in the broad-leaved deciduous and needleleaved deciduous forest groups, showing that Autumn is becoming significantly later. This delay in the signs of Autumn was generally more pronounced than any evidence for an earlier onset of Spring, although there is evidence across the groups that Spring is arriving slightly earlier. Professor Peter Atkinson comments: “Previous studies have reported trends in the start of Spring and end of Autumn, but we have studied a longer time period and controlled for forest loss and vegetation type, making our study more rigorous and with a greater degree of accuracy. The study used the Global Inventory Modelling and Mapping Studies (GIMMS) dataset and combined satellite imagery with an innovative data processing method to study vegetation cycles. The paper Remotely sensed trends in the phenology of northern high latitude terrestrial vegetation, controlling for land cover change and vegetation type is published in the journal Remote Sensing of the Environment and can be found here.